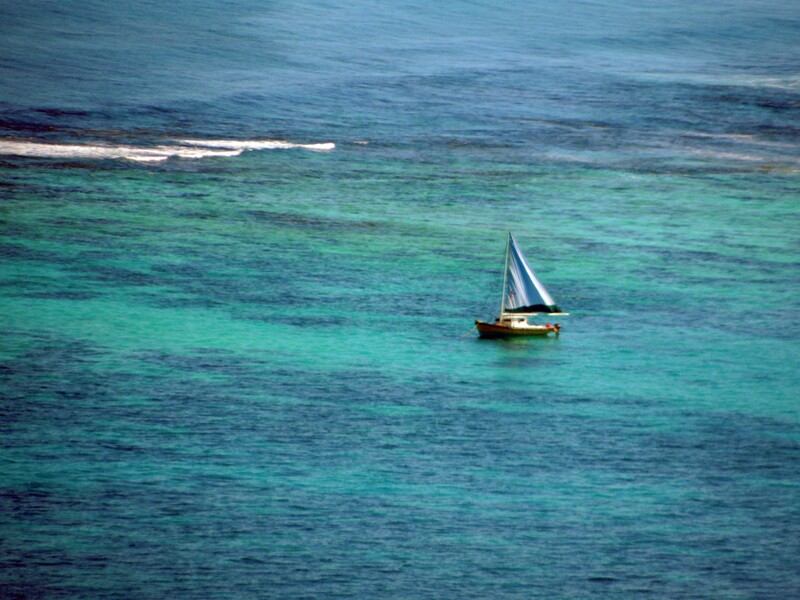 The eastern-most part of Belize is the Open Sea ecosystem which is part of the Caribbean Sea. The Open Sea of Belize which is to the east of Glovers Reef and Lighthouse Reef can be as deep as 4500 meters (15,000 feet). The water of the Open Sea supports microscopic organisms called Phytoplankton which are consumed by small animal organisms called Zooplankton. Zooplankton is eaten by small fish which are in turn eaten by larger fish and mammals such as dolphins and whales. At the top of the food chain in the Open Sea are predators such as sharks and marlins. The Open Sea of Belize supports various species of deep water fish which have not been extensively studied or exploited in Belize. 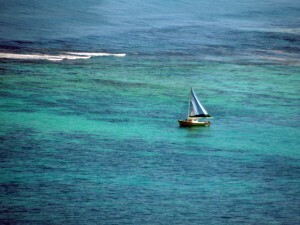 One of our most important ecosystems is the Belize Barrier Reef. The Barrier Reef is important because it is like an “Oasis in a desert”. This anology is appropriate because reefs form in areas where the waters are very poor in nutrients. It is for this reason that the waters are very clear and grow only few species. However, in the middle of these very poor water grows an impressive array of hard and soft corals, sponges, mollusks, crustaceans, worms, fish, mammals, etc. These species make up the ecosystem of the coral reef. There are four main types of coral reefs in Belize. These are the platform reefs, fringing reefs, atolls and barrier reefs. 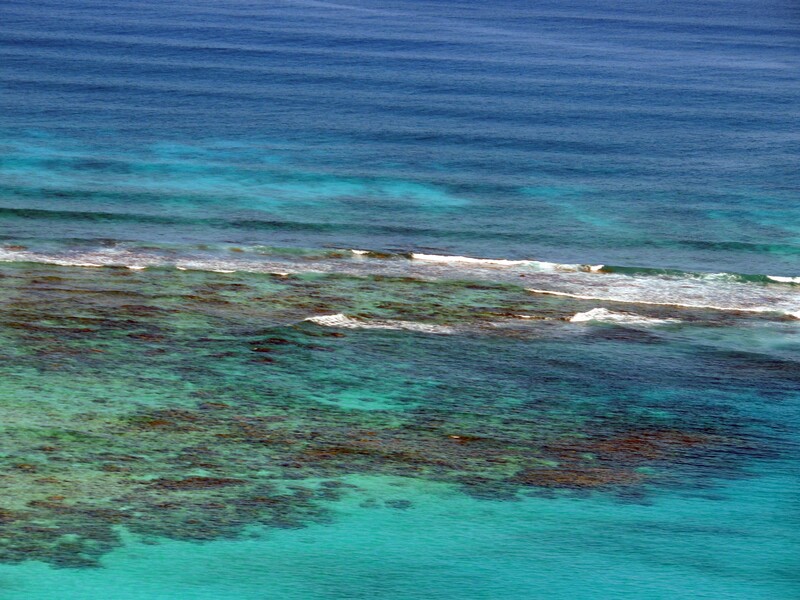 Platform reefs are oval shaped reefs between the barrier reef and the mainland. 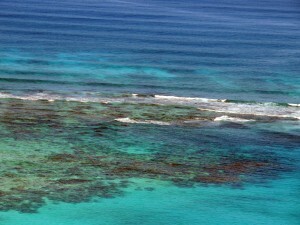 Fringing reefs are found near the mainland. Examples are at Rocky Point near Ambergris Caye. Atolls are coral reef islands that surround a central lagoon. There are three atolls in Belize. 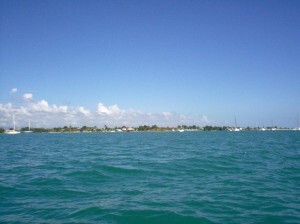 These are the Turneffe Islands, Lighthouse Reef and Glovers Reef. 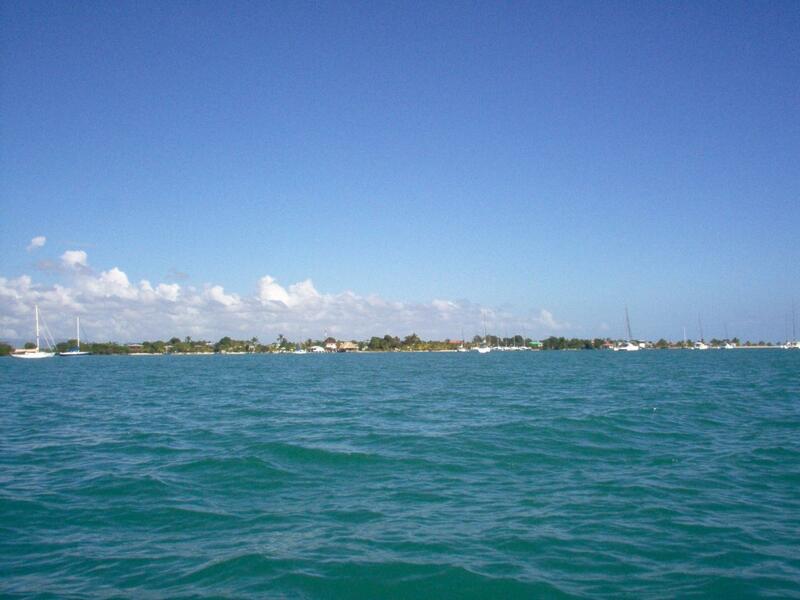 The barrier reef extends from Ambergris Caye in the North to the Sapodilla Cayes in the South. A cross section of a barrier reef shows that starting from the windward (eastern) side, it is composed of the outer fore reef, inner fore reef, reef flat, and the shallow lagoon formed at its westward side. The fore-reef extends from the reef crest eastwards to a 40 meter deep outer ridge. At the outer ridge, deep-water corals, sponges, soft corals and fire corals occupy the bottom. Our seagrass bed resources flourish in coastal bays and at locations west of the main Belize reef ecosystems. 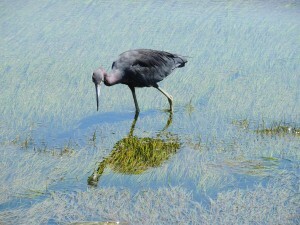 The two main types of seagrass in Belize are the Turtle grass and the Manatee grass. Turtles and manatees feed on the seagrass but juvenile lobsters, conch, shrimp and fish live in the seagrass beds. Besides acting as a nursery for juvenile marine life, the function of these beds is to interrupt freshwater discharge originating from the land. They help to maintain an environment comprising clear, nutrient poor waters which are needed for corals, fish and invertebrate species to survive. To the west of our seagrass beds are extensive forests of mangroves at many locations on the coast. Mangroves are salt tolerant trees which can survive in swampy flooded soils. 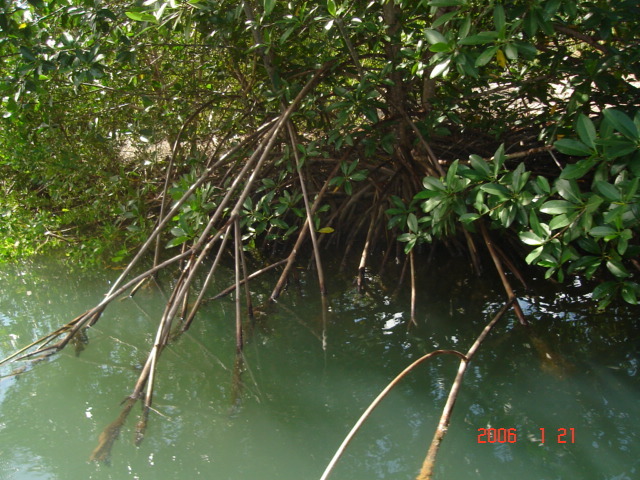 Red mangroves occur near to water ways. Black mangroves occur behind red mangroves and white mangroves are mixed with the red and black mangroves. Buttonwood occur in swampy locations. Although the mangrove ecosystems of Belize make up roughly 3.5% of our national territory, these ecosystems affect the coastal resources to a great degree. This is because mangroves trap silt which originates on land. 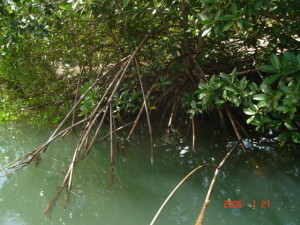 Mangroves also serve as a fish and lobster nursery. Mangroves are useful to Belize because they protect the land during times of hurricane and other storms.